is the SI unit of electrical current and is defined through the magnetic force acting between two parallel wires. If the magnetic force between two wires separated by 1m, each of length 1m, carrying equal currents, equals 2 x 10-7 N, then the current in each wire equals 1 Ampere. a region of maximum wave displacement. Amplitude . a measure of the brightness of a star as it appears from Earth. (d). is the drop in intensity as X-rays pass through a medium. µ, is a constant for a material at a given X-ray energy which allows us to calculate X-ray intensity, I, given any thickness of material x and incident X-ray intensity I0 where . m- is the mass difference m2-m1, and m+ is the sum of the masses m1+m2. is a record of the variation of hearing with frequency for a patient. where F is the force exerted by particle 1 on particle 2 (and vice versa), k is the Coulomb/electric constant, 8.99 x 109 Nm2C-2, q1 is the charge of particle 1, q2 is the charge of particle 2 and r is the distance between the centres of the particles/charges. Note , where =8.85×10−12 C2 N−1m−2 is the permittivity of free space. We usually just use k.
We assume the charges are point-like and all the charge is concentrated in the center. An approximation is to assume the separation of the charges, r, is much greater than their radii. The law is an inverse-square-law, . Note, the actual weight of the person does not change but an increase or decrease in the reaction force produces a change on the weighing scale in elevator. is a system property that expresses the degree of disorder in the system. is the velocity that an object needs at the surface of the planet with sufficient kinetic energy to escape the gravitational attraction of the planet. where G is the universal gravitational constant, M is the mass of the planet, R is the radius of the planet and g is the acceleration due to gravity. where Rs is the Schwarzchild radius. occur when the total kinetic energy of a system increases. most significant bit in a binary number is the left-most or leading non-zero bit. is the closest point to the eye on which the eye can focus. where F is the force exerted by object 1 on object 2 (and vice versa), G is the gravitational constant (6.67 x 10-11 Nm2kg-2), m1 is the mass of object 1, m2 is the mass of object 2 and r is the distance between the centres of the objects. We assume the masses are point-like and all the masses is concentrated in the center. An approximation is to assume the separation of the masses, r, is much greater than their radii. a region of zero wave displacement. is a nuclear reaction in which large nuclei are induced to break up into small nuclei and release energy in the process. A simple nuclear model of the atom consists of a tiny central nucleus containing all the mass and all the positive charge. The nucleus is made up of protons and neutrons. Negative electrons are kept in orbit around the nucleus as a result of the electrostatic attraction between the electrons and the nucleus. Although this simple model helps explain many atomic properties there are reasons why things cannot be this simple. are red, green and blue. Mixed together they produce white. The vertical and horizontal components of velocity, in a uniform field, are independent of each other. The vertical velocity follows the equations of uniform acceleration. The horizontal velocity, in the absence of air resistance, remains fixed. The velocity, or total velocity, is the vectorial/Pythagorean sum of the horizontal and vertical velocity components since they are perpendicular to each other: . In the absence of air resistance, the range of a projectile is independent of mass of projectile. It depends on the horizontal velocity. The range, D, is the maximum horizontal distance traveled by the projectile: . The time of fall is independent of horizontal velocity. It depends vertical height of projectile, if projectile has no initial vertical velocity component, ie. it is dropped. or , occurs when the relationship between and is linear with a zero y-intercept value, that is, a straight line passing through the origin. The x- and y-error bars may allow a range of values for the y-intercept, because the lines of max & min gradients, thus showing a possible proportional relationship for a best-fit straight line even if its y-intercept value is non-zero. Beware, for the IB, a best-fit line can be any curve which fits the data points. It does not mean the best-fit straight line. , is a measure of the ionization strength of various radioactive source. is the ratio of emitted electrons to incident photons falling on a pixel. Increasing the quantum efficiency makes the CCD more sensitive to light. occurs when a nucleus emits an -particle/ -particle/ -particle /ionizing radiations. 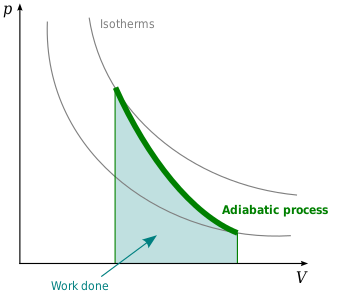 The process is random and spontaneous since it is unknown when a nucleus will decay. The activity is proportional to the number of undecayed nuclei. The nucleus becomes more (energetically) stable. There is a constant probability of decay. The activity/number of unstable nuclei in sample reduces by half over every half-life. It is not affected by temperature/environmental conditions. is a fluctuating error often present in experiments. It is linked to precision: imprecise data => "high" random error; precise data => "low" random error. Repeated measurements do reduce random errors. Sources of random errors can include varying reading/human error and other randomly flucuating factors which cannot be controlled during experiments. , for circular apertures of diameter b.
which can be used to solve typical problems on resolution. where R is the resitance, is the resistivity, L is the length and A is the cross-sectional area, . potential difference is split between the resistors - refer to potential divider rule. Resonance is the opposite to damping. f = f0 or f/f0 = 1, and resonance occurs. 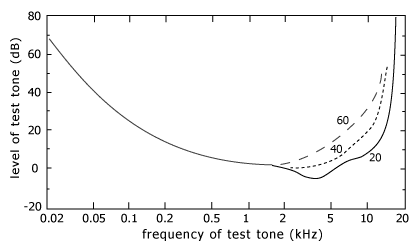 Notice the resonance amplitude decreases with damping, and the natural frequency decreases. 5. , for a spring-mass system with stiffness k (or force per unit extension) and mass m. From Hooke's law F= -k x = m a.
states, the ratio of the velocities of the waves in two media is equal to the ratio of the sines of the angles of incidence and refraction of the rays: . is the amount of sound energy falling on a unit area per second. I0 = 1.0 x 10-12 Wm-2is the threshold for hearing. Energy is not transferred by the wave although it does have a wave energy. Energy is transferred by the wave. Amplitude varies along the wave. Maximum amplitude is , at anti-node. Amplitude is zero, at node. Amplitude, , is the same along the wave. All points oscillate with the identical frequency. Double the distance from adjacent nodes, or adjacent anti-nodes. Distance between two neighboring successive points which are in phase. All points between adjacent nodes are moving in phase. All points along a wavelength are moving with different phases. f0, 3f0, 5f0, ... (odd multiples only). is a constant, "background" error often present in experiments. It is linked to accuracy: inaccurate data => "high" systematic error; accurate data => "low" systematic error. Systematic errors usually shift a the best-fit line up or down maintaining the same gradient. Repeated measurements do not reduce systematic errors. Sources of systematic errors can include mis-calibrated instruments, zero-error on instruments and/or constant human error such as reading-parallax error. is an amplitude-modulated scan with information represented as a graph of signal strength against time. is a brightness-modulated scan with information represented as levels of brightness. where c is the speed of sound waves in tissue and d is the depth of the organ/object. If , then , or, and , or, . , or, and , or, . is 1/12th the mass of a neutral carbon-12 atom. measures potential difference across a component. It is placed parallel to the component. An ideal voltmeter has infinite resistance so that no current flows through it.